The ESP Mobile app allows distributors to quickly search the ESP database for your products on their iPhone, iPad, or Android. ESP Mobile offers over 5,900 Monthly Logins. Mobile Commerce is expected to grow 300% Faster than traditional E-Commerce. Puts your products on page on the search results for any of your keywords in ESP Mobile. Tile Ad on the ESP Mobile home screen - only 10 spots available! Features one advertiser/product per day on the ESP Mobile home screen in a Product of the Day tile ad. Targets distributors searching for your specific keywords with a banner ad on the results screen. Sources the #1 spot in your category on the exclusive monthly Top Sellers list. (iPad Only). 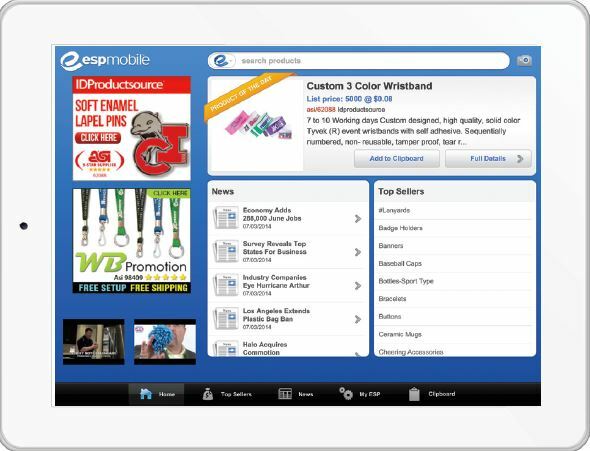 Demonstrate how to use your products by including a video on ESP Mobile's iPad version. Download our Sales Sheet Below!